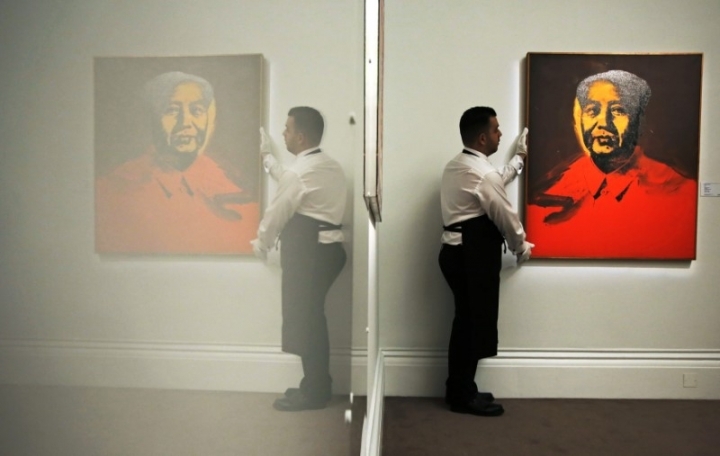 HONG KONG (Reuters) - An Andy Warhol portrait of former Chinese leader Chairman Mao Zedong has sold for $12.6 million at a Hong Kong auction, less than the $15 million it was expected to fetch. The painting was sold to a private Asian collector at Sotheby's evening sale on Sunday. Warhol began his series of silk-screen portraits of Mao in 1972 when ties between then Cold War foes China and the United States began to thaw after U.S. President Richard Nixon's historic trip to Beijing.